Baby potato fry is an Easy & tasty fry Goes well with Sambar Rice, Rasam Rice, Chapathi's,Roti's & Phulka's.Small cute potatoes when blended with all spice powders & roasted in sim modes till turns light golden shade, tastes yumm!yumm!. Now we will learn to make the curry. Rinse & wash the potatoes to get rid of Dirt.Then pressure cook it for 2 - 3 whistles with needed water.once it cooled down remove the skin, and keep it aside. 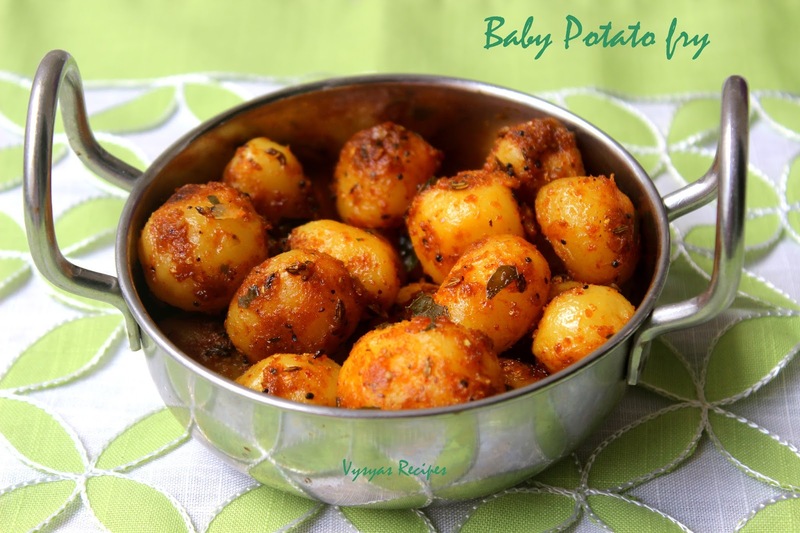 Take a Mixing bowl, add potatoes, all spice powders Coriander Powder,Cumin Powder,Chilli Powder, Turmeric Powder & salt.Along with it add 1 tsp of oil, Mix well & let it marinate for atleast 15 minutes. Take a kadai or Pan, add oil, when it is hot, add mustard seeds, when it splutters add fennel seeds, curry leaves. Saute for few seconds, when you get Good smell from fennel seeds, add hing & give a quick mix. Now add marinated potatoes, and simmer the stove at low flame. saute now and then at least for 10 - 12 minutes till it is Roasted. Garnish with finely chopped coriander leaves. 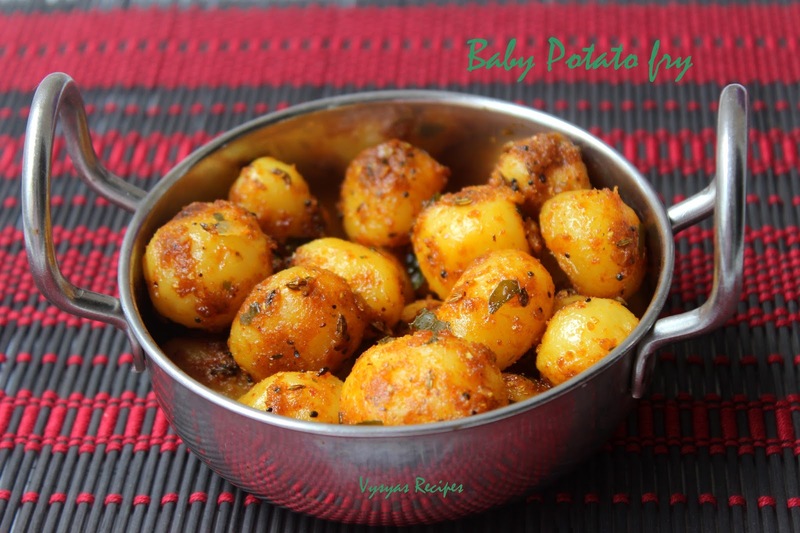 Now baby potato fry is ready to serve. Adding fennel seeds while sauteing, gives nice flavour to the curry. Always cook in low flame while Roasting. you can add 1/2 tsp of Garam Masala for Extra taste. Adjust the chilli powder according to your taste buds. This dish is forever and always a hit in my house. Goodness, tempting like crazy.